The all new Continental Twin and Directional, our award winning freestyle machine has been reinvented. This is our always in stock model with updated artwork, woodcore and sandwich layup. We only use premium materials in all our boards. For 19/20 we will have premium stone ground finish on all top models. This is the same treatment our team riders boards get in x-games, olympics etc. Scary fast. Other then that we continue to use our own Carbon/Kevlar blend in almost all our boards. We work with Nobile, keeping production in Europe. In our eyes, this is the best snowboard factory in the world. Close to zero warranties and steady flex control. Which price point is seeing the most action at retail? Premium, bottom or in the middle? What do the people want? We are experiencing a heavy increase in sales on our top end pricepoints. Our vision is as always to make premium boards at a mid-range pricepoint. 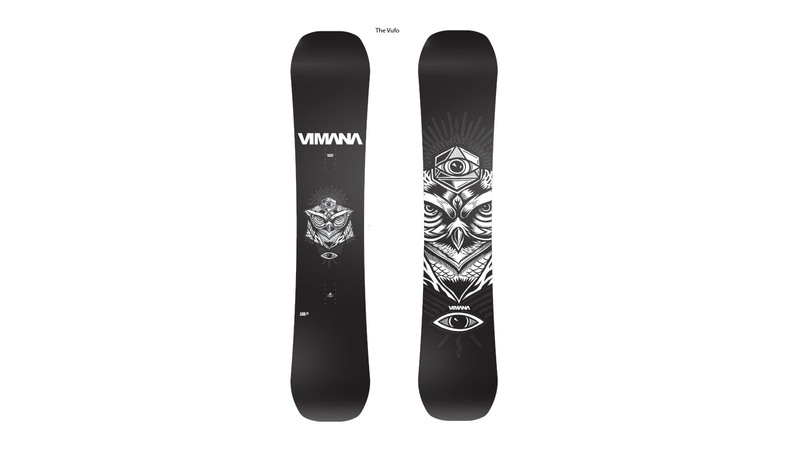 So our signature boards are the most expensive retailing at 499€. We offer as always the best mark-up in the business for our retailers. We stick to our guns. 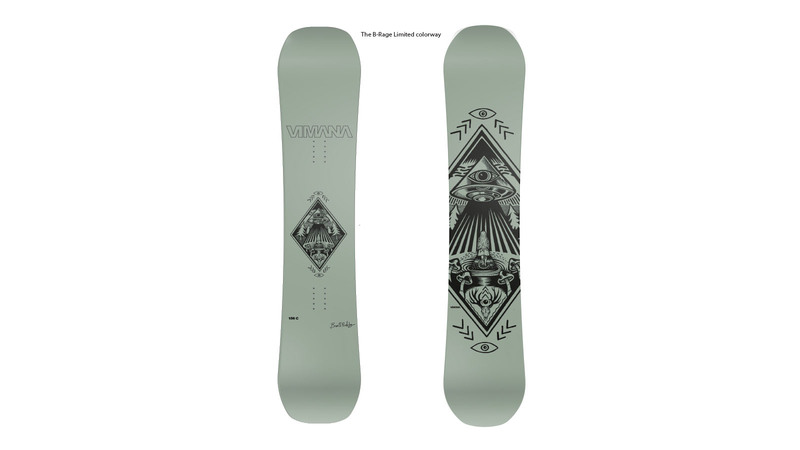 Last season we introduced our new V-Tip turning your park board into a pow board. This was a huge success for us and it works so well. We work closely together with our riders on all our shaping. Vimana is a Scandinavian brand and we are influenced by dark noir Scandinavian design and folk lores. We connect this with ancient flying pyramids from Giza and the lines going to Angkor and Easter Islands. We introduce a new signature line from Markku Koski next season, this is buildt around the ice breaker ships from early 1900`s. We stick with our visual statement of Scandinavian design mixed with the most premium materials.